Are you registered? Use 18 Million Rising's Voter Registration Tool to get started. Hey, folks. Today is National Voter Registration Day. Your voice matters, and one of the fundamental ways our community can speak out, stand up and be counted is through the ballot box. We have the numbers. We can have the clout. But only about 30% of eligible AAPI voters make it to the polls. What's up with that? So... have you registered to vote? 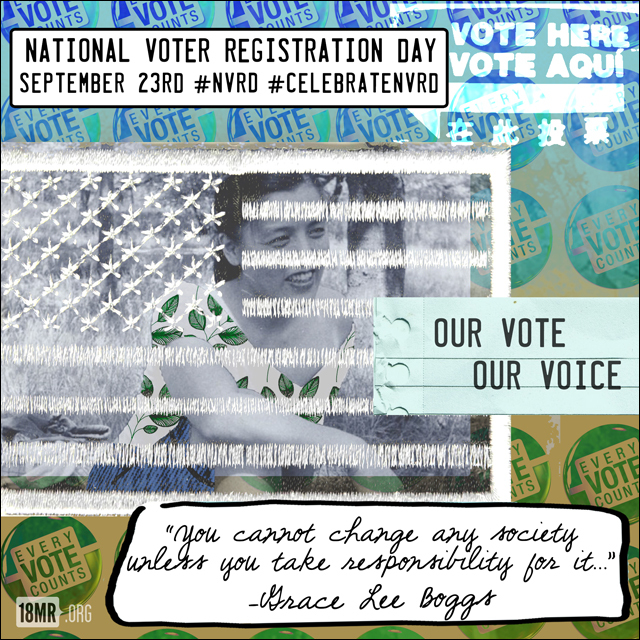 Our friends at 18 Million Rising have teamed up with Rock the Vote to launch a handy Voter Registration Tool to get you started. Their Elections 2014 website has everything you need to become a registered voter -- including gaining access to voter registration assistance in 13 different languages. You'll also find tools and other resources to start a get-out-the-vote campaign in your own community. Midterm elections are just a few weeks away. Registration deadlines vary in each state, so head over to 18 Million Rising and check the map. And tell your momma. Tell your friends. Get registered to vote. More here: Are You Ready to Make Our Votes Count?